Ultimately increase the number of shoppers and visitors, increase spend, increase dwell time, promote the town as a place to invest and live, and ensure it becomes a preferred destination. At the heart of the new branding for the town are a set of themes and a ‘big idea’ that represent why it should be considered and chosen. These are the strategic engine used to drive expression and can translate across a range of media and a range of audiences. Importantly however, they are not ‘straplines’, or literal marketing messages but draw directly from what people told us during the consultation. These were the drivers for the creation of our strategic direction, associated branding toolkit and graphic language. We are happy to share the ‘toolkit’ and photography with stakeholders who share our vision of powerfully promoting the town centre. The toolkit (excluding the graphic language) and some photography can be viewed here. Please contact us for a more detailed explanation and to understand how this can inform the marketing you are doing. We need to capitalise on our unique accessible position, near major transport links, fantastic neighbouring towns and cities, and universities. We also need to recognise the value of having a ‘walkable’ compact town. This exemplifies the independent nature of the town both in its assets and its spirit. It tells us we need to nurture our independents and help everyone find their USPs. The architecture, mix of modern shopping with niche independents, important history and quirky feel lends to an urban experience that ‘feels’ different and special. It is all about the experience – Royal Leamington Spa is a town where service matters and a great ‘welcome’ is essential. Drawing on the town’s ‘well-heeled’ past, Royal Leamington Spa has style and sophistication. There is a beautiful ambiance and elegance about the place that is so difficult to find in many other towns and cities. Based on this we need to make sure that what we do, we do well. We also need to ensure that a visit to Royal Leamington Spa is a treat – an uplifting experience. The “Big Idea” provides an emotive signature for the town and encapsulates the themes that set the place apart. Uniquely, the town doesn’t have a special attraction; it is a coming-together of various factors that create a compelling and very attractive experience. No one part of the ‘sense of place’ dominates but the cocktail is enticing; wonderful eating & drinking, beautiful parks & gardens, shops that are one-offs, service that is special, imposing architecture and wide boulevards. This makes a town that is majestic, impressive, grand, superb, beautiful, proud, august and splendid – in summary, a sublime, regal experience. 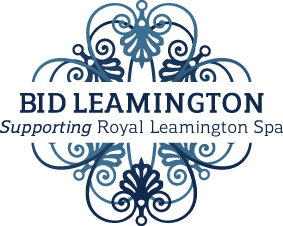 Why not try adapting our Leamington Spa ‘Big Idea’ workshop questions to your business. This can be a useful way to establish and mobilise your team around your own brand identity and strategic direction and think about how this can be reinforced by the wider brand values of the town – and vice versa. Please get in touch if you would like to give this a try.